Power pop outfit The Click Five bursts back on the music scene this summer with their brand-new album "Modern Minds And Pastimes." It is a delicious, guilty-pleasure pop record filled with melodic hooks and radio-friendly choruses that are just oh-so perfect for summer. Listen to their new songs "Headlight Disco" and "Jenny" to get a good feel for their infectious sound. Stream The Click Five "Headlight Disco"
Stream The Click Five "Jenny"
"Modern Minds And Pastimes" features the group's new lead singer Kylie Patrick, 20, who replaced Eric Dill in February of this year. The disc was produced by Mike Denneen (Fountains Of Wayne, Aimee Mann), and follows their 2005 debut "Greetings From Imrie House" that included the Billboard chart-topper "Just A Girl." The group is currently touring together with Hillary Duff. Time to get the scoop about all that's new from Kyle Patrick himself who is arguably one of the hottest new singers in pop music. 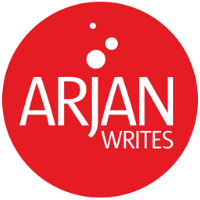 Arjan: You must have had an amazing few months since you joined The Click Five. When did you become an official member the group? Kyle: I met the guys in November of 2006 and they asked me to officially become a member of the band in February of this year. I have been around these guys for 8 or 9 months now and it has been great. I was in my third year at the Berklee College of Music in Boston and dropped out to do this. So it was more important to be a pop star than to finish school? [Laughs] Yeah, you can say that I guess. I felt after three years in music school I got out of it what I needed. Did you always want to make music professionally? Definitely. I started playing the guitar when I was eight years old. Ever since I performed at the age of eleven or so and got a crowd reaction, I freaked out and totally loved it. So from that point on I knew I wanted to be a musician. Are there specific artists that have inspired you? My dad was into a lot of classic rock stuff that he turned me on to, like Derek & The Dominos, Cream, Eric Clapton and James Taylor. That’s what formed my performance and songwriting skills. Back in 2005, The Click Five was known for always wearing matching suits. What happened to them? Those are out the door! We have kept our vision of dressing up for our shows though, and having that classy look with a rock edge to it. We still wear suits and pieces of suits. We just have evolved and grown up I guess. Our clothes are made for us so they have this cool tailored look. We don’t have stylists. We do most of it ourselves. So you are a handsome group of guys, who gets most of the girls? [Laughs] Well, Joey recently got a girlfriend so that is one shark less in the pond so to say. Let me just say that we all like to have fun and meet new people. You’re a very attractive guy. Was it an odd experience for you to be thrown into the spotlight and have screaming fans in front of you? I have been performing for a while, but this was a huge change for me. Not only because I get to play for a lot more people, but also to have people that are really, really into what we’re doing. The group really has a few superfans and to have that sort of thing behind you is really amazing. Were you a fan of The Click Five before you joined them? I knew of them because they were from Berklee as well. So I knew the band name but I did not really get into their music. I kick myself now for not paying attention to them earlier, because knowing them know, I must say they are amazing musicians. When you joined the band, were most of the tracks for the album already written? Yes, most of them were. They wrote actually 80 songs in total over the last few years. They narrowed it down to 12 songs for this new record. Before I formally joined the band, I co-wrote the song “Empty,” which is the last track on the album and writing it together was a bit of bonding experience for us. The Click Five’s music is filled infectious melodies. What defines a good pop song you think? For us a good pop song is a song that is based on a real experience that translates to a catchy melody and a good chorus. It also must be dynamic and move you. Dynamic means that a song has both high points and low points. The high points stand out more with the low points. That is what creates that uplifing feeling in a good pop song. Do you have a favorite track on this record that you like to perform? The one that I like to perform and that the crowd really likes is “Headlight Disco.” It is such a fun song to play. It has a great message and we have a blast performing it. That’s a highlight for us. That’s definitely a surprising song on the record because of its style and synth-oriented production. Yeah, exactly. Originally that song wasn’t going to make it on the record. We talked about it with our A&R person and people at the label and we convinced them to include this track because it is different and it turned out really, really cool. I love Kyle Patrick's voice it's so different from Eric's. I'm definetly more into the click five now than I was before and the song "Addicted to me" ROCKS! I lavv The Click Five sooo much now!..My favorite song is Jenny...Kyle Patrick is sooo Hawt!...<3...You guys rock! I hope you have a tour in the Philippines soon! The Click Five are awesome. Kyle's voice is extremely different from Eric's and the new look and sound is brilliant. The song "Empty" is genius. I never really got into them before, but now that's a thing of the past. Hope they come to Malaysia again. And soon. i love click five.. and i love kyle.. i admire him so much.. good luck in your career.. god bless.. mwuah! I've been an addict fun of you, specially to you kyle patrick! just keep up the good work guys...love you from the buttom of my heart...gud luck!!! lurve click five so much..
keep up the gud work guyz..
i absolutely lovvvveee the clickfive!!!! their new album ROX!!!! n kyle is suppper HOT,,i cant wait till thy come to Jakarta!!!!!AAAAAAAAAHHHHHH!!!!!! ..one simple thing to say..
i love kyle so much! he's better than eric. and he's hotter! He also has nicer voice! Kyle Patrick is cute and........I love his voice. click five rocks!!! 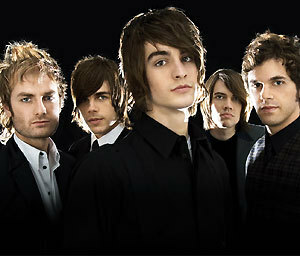 these guys are awesome...kyle patrick is sooo..cute and he has an amazing voice. their songs rock my heart.. I love Kyle Patrick and Th Click Five sooo much! but i think he's kinda arrogant.